From our initial discussions to the final presentation, we are your strategic partner every step of the way. We have expertise and experience in methodologies that support every stage of the product development life-cycle – from qualitative to quantitative, from in-home visits to remote usability studies. When we discuss your specific business challenges, we will pull from this toolkit to custom design a solution for you. 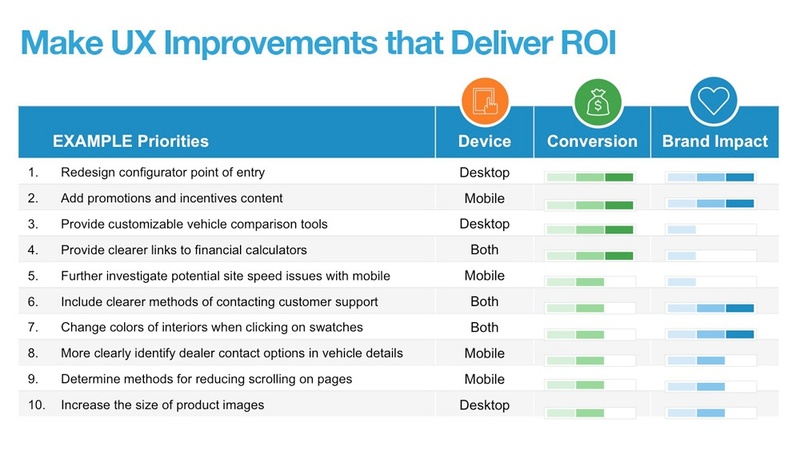 Our recommendations are clear, actionable, and generate results. 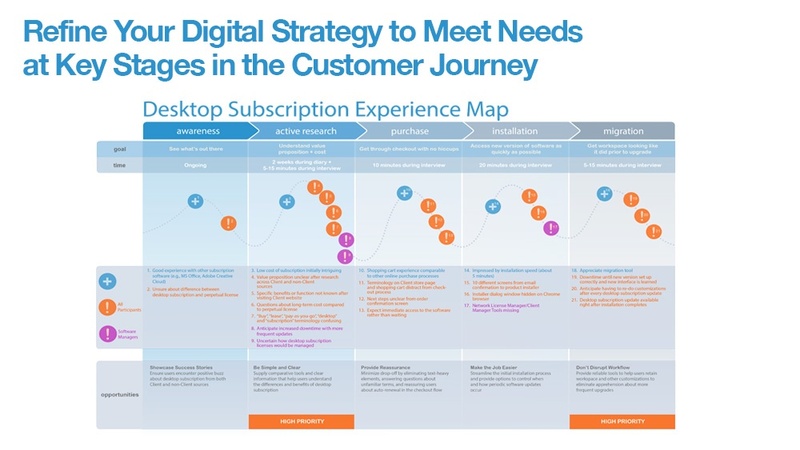 Define the direction of your long-term digital strategy. Whether solving for long-term challenges or the here and now, AnswerLab uncovers game-changing insights by connecting with your customers in the context of using your products. Our exploratory research solutions help you create new digital experiences, nail the right value proposition, and refine product concepts before investing in development. 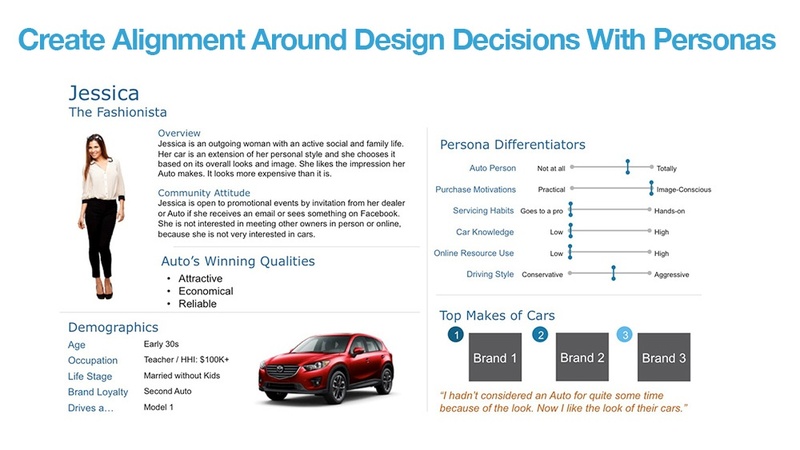 Create digital experiences that deliver results. 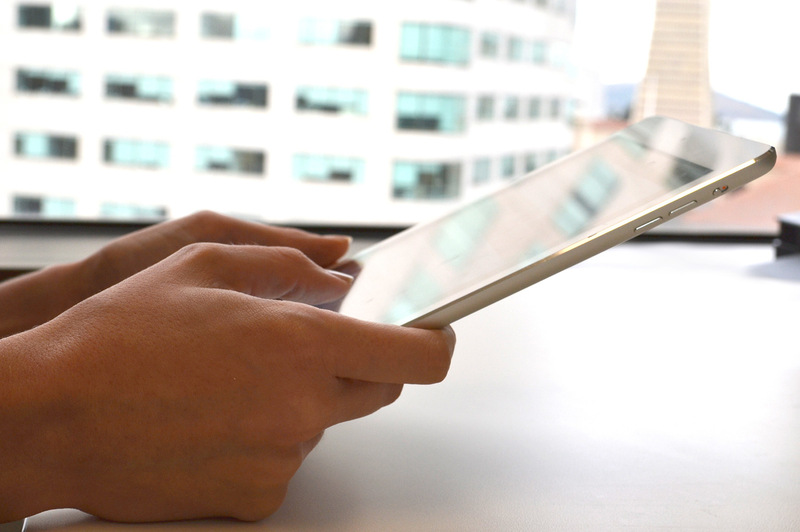 By getting direct user feedback on live products and those in the design phase, AnswerLab ensures your digital experiences achieve business goals immediately after launch. We bring deep domain expertise and best practice recommendations from a broad digital perspective to all of your user questions. Then, we deliver prioritized strategic and tactical recommendations that will help your team make quick wins, improve your products, and keep your digital strategy moving forward. 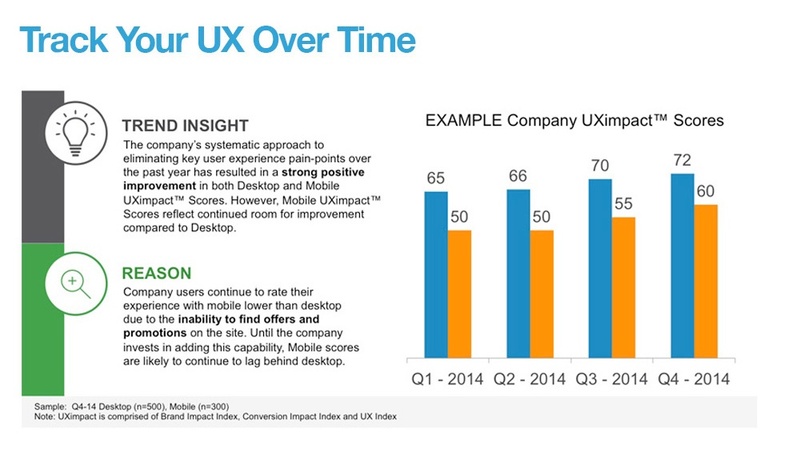 Don’t just assume your user experience has improved, prove it’s delivering maximum business impact. As competitive landscapes change and users’ expectations and needs evolve – stay ahead of the game by identifying exactly how your property is performing, and what changes you need to make in order to please users. Today’s companies win in the market based on the experiences they offer. Measure and monitor to turn your experience into a strategic advantage. Our proprietary product UXimpact™ was developed exclusively as an ongoing benchmarking and measurement tool highlighting user experience issues that are negatively impacting your business goals. 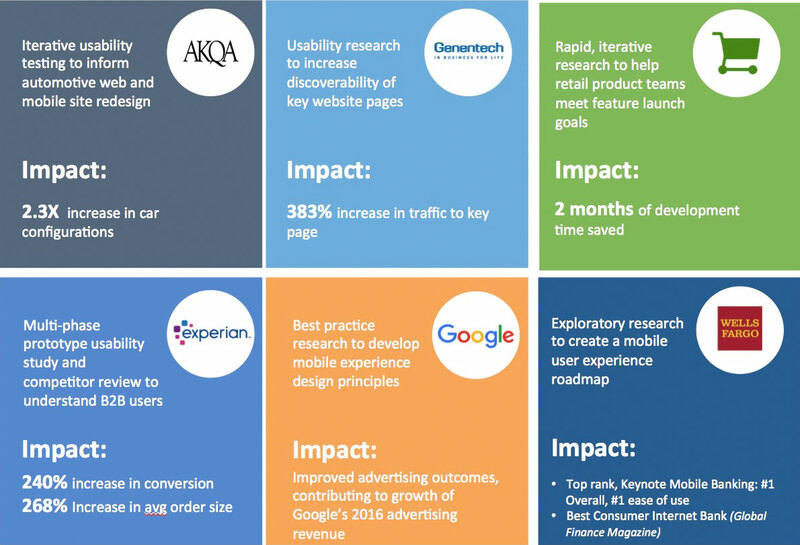 UXimpact™ hones in on the changes you need to make to alleviate those issues and continues to measure ensuring those changes are demonstrating a real business impact on your bottom line. Ultimately insights mean nothing without action. After research sessions, we build reports, workshops, and user videos focused specifically on helping influence stakeholders to make changes needed to achieve your digital strategy. Clients consistently describe our deliverables as the most polished and impactful in the industry.